Almost every day I am inundated with Poshers on IG posting photos of them and their stacks of posh packages that they are preparing to send out for the day. Not only do I not have sales that come close to being able to "stack," if I did, I don't know how I would send them all out! The post offices around me are not in walking distance before my commute to Bart and I would not have time to drive to a post office before work because they don't open early enough. I also live in Oakland and I'm not sure I can trust leaving a bunch of packages out on my porch to wait for the mailman to come pick them up. Since I'm not at home during the day, I wouldn't even be able to monitor whether a package did get picked up until the end of the day and would have to wait patiently for the Poshmark app to update shipping or else worry that my packages did get stolen. For those of us that are not full-time poshers (and don't work from home), it's pretty difficult to get our packages shipped quickly when sales happen at all times of the day. It's especially difficult when you have to get packages out that won't fit in a USPS blue box or when you don't have a post office near you. USPS hours are not conducive to a working woman's schedule. 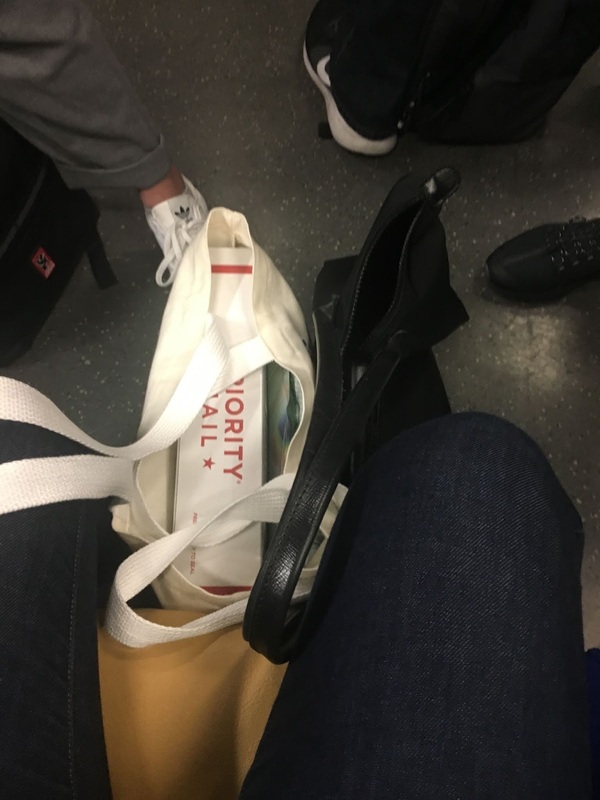 A rare photo of me actually able to sit on BART in the morning with a bag of Posh packages and my work bag. The only way I can get a package actually scanned into a post office is if I have a sale the day before and I have time to stop by the one post office on my way to work in San Francisco that opens at 8:30 am. This used to also be contingent on whether I was able to print the label out at work, but I finally invested in a printer that has made my life considerably less stressful. I typically don't have time to wait in line to visually watch the package get scanned in, so I usually just leave my packages on the counter and pray that eventually, at some time during the day, they will get scanned in. Hopefully, as I have been hinting and planning for months, I will be able to move a majority of my inventory to my mom's house (approximately a 25-30 minute drive away) and have her deal with the shipping as she can easily make it to a post office in the middle of the day and get things scanned in. Problems with this include: bundles (what if an item is at my apartment and another is at her house), questions on listings that require looking at the item again, and whether I can trust that she will package the right item and remember to get it to the post office on time. Whether this works out will be a subject of another post and I hope to track this journey. 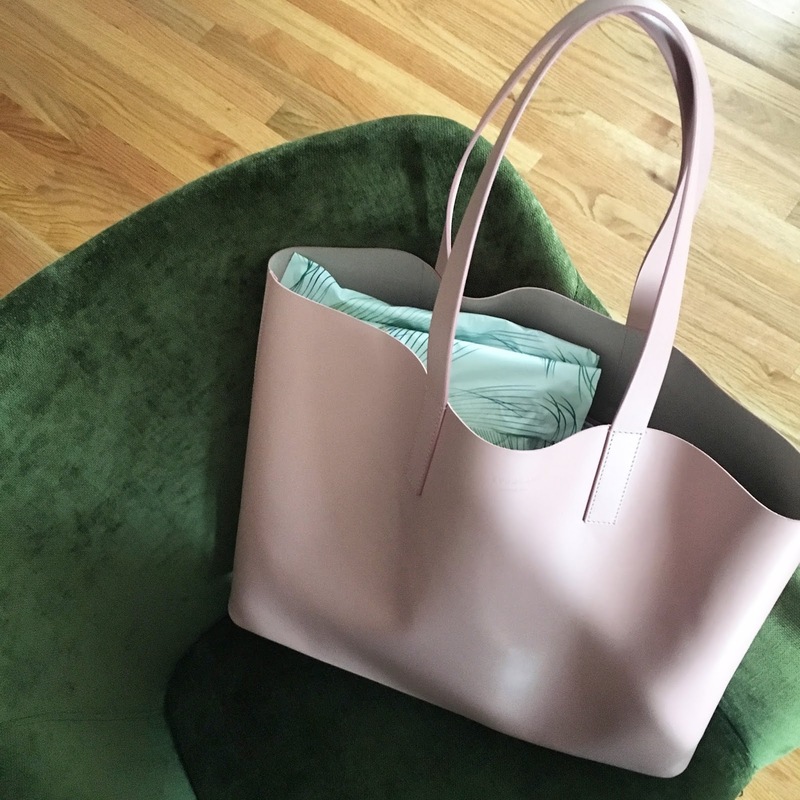 Until then, it will be me lugging tote bags on a crowded BART train and hoping I don't hit anyone with it during my rush hour commutes.